Mike and I love Mexican food. 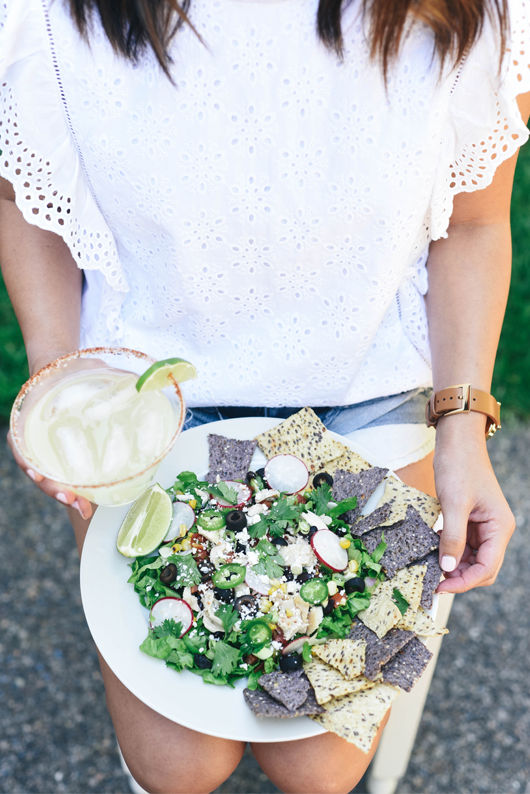 It’s our favorite kind of food and we’re guilting of eating either burritos, tacos, or chips and salsa at least 5-6 times during the week. 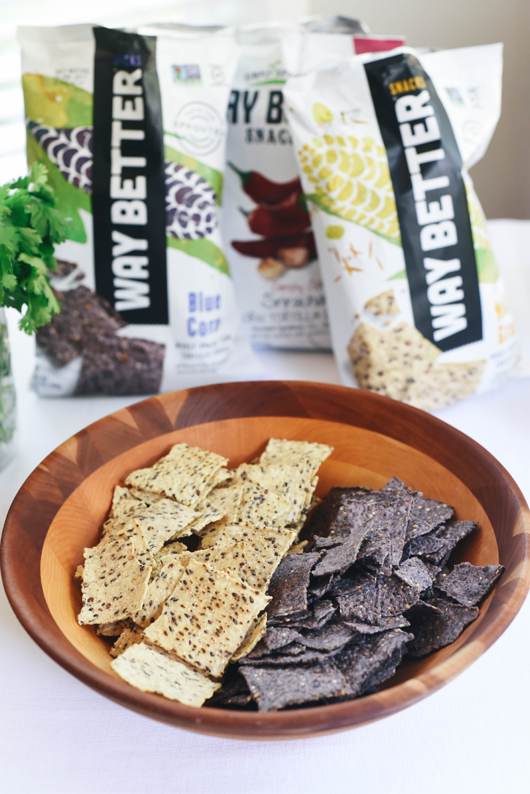 When Way Better Snacks approached us to try out their healthy chips, we jumped at the opportunity. 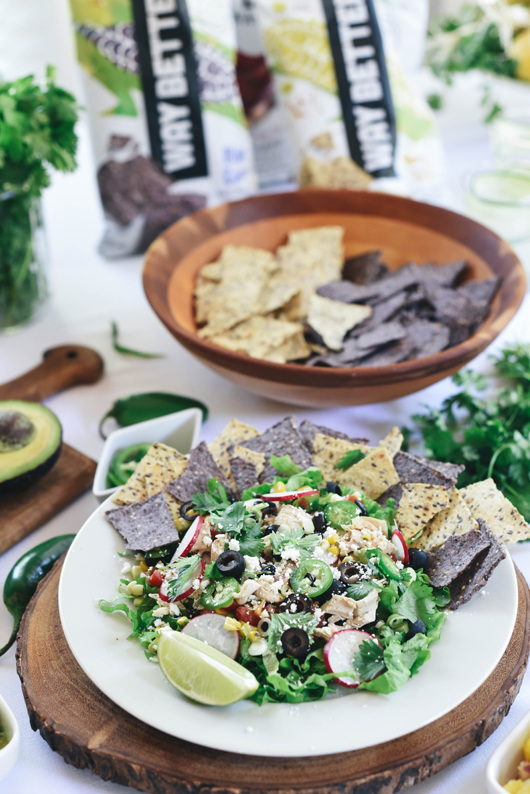 While I’m a self-proclaimed Mexican food aficionado, I’m also vegan and love to eat healthy. 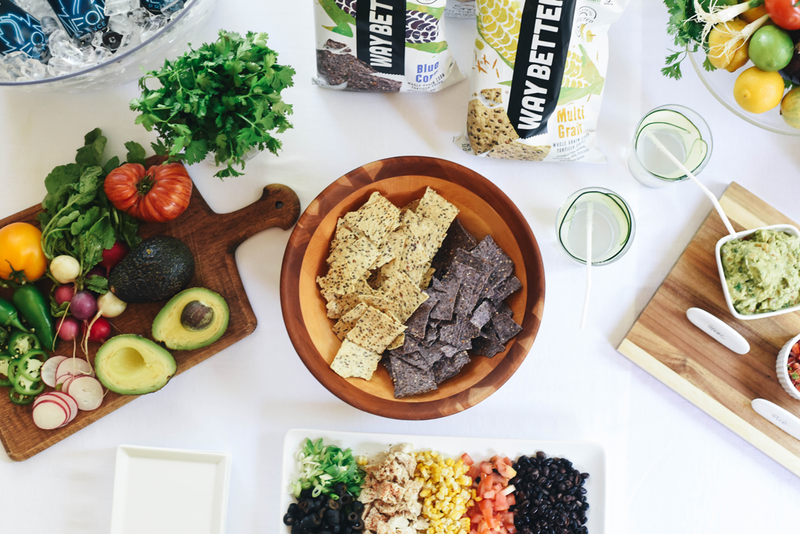 So, the idea of incorporating a healthy chip into the mix was something I was super excited about. I’m actually shocked at how much I love these! 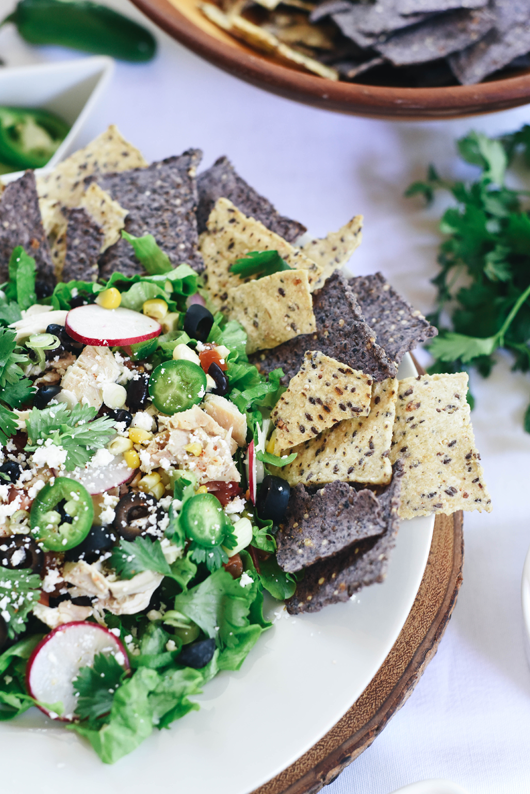 They have the same crunch as your typical tortilla chip and great flavor. 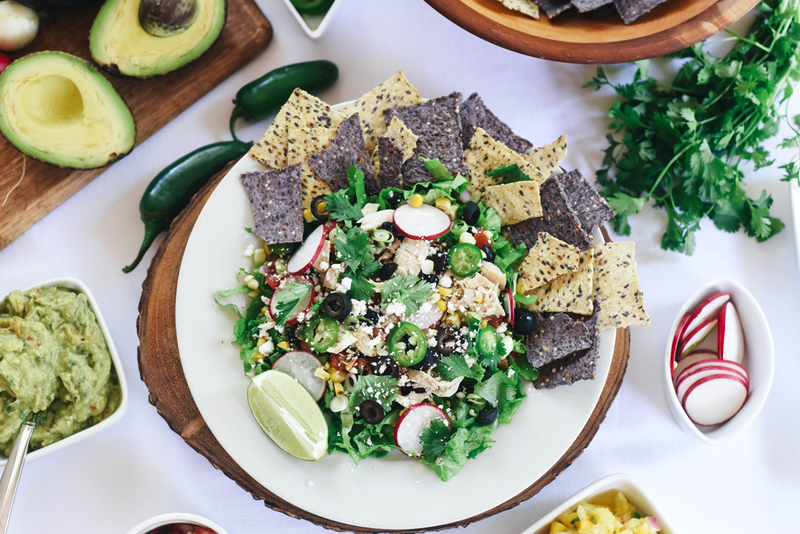 I love the Blue Corn and Multi-Grain when eating it with salsa or guacamole, but also love the Spicy Sriracha for just snacking. 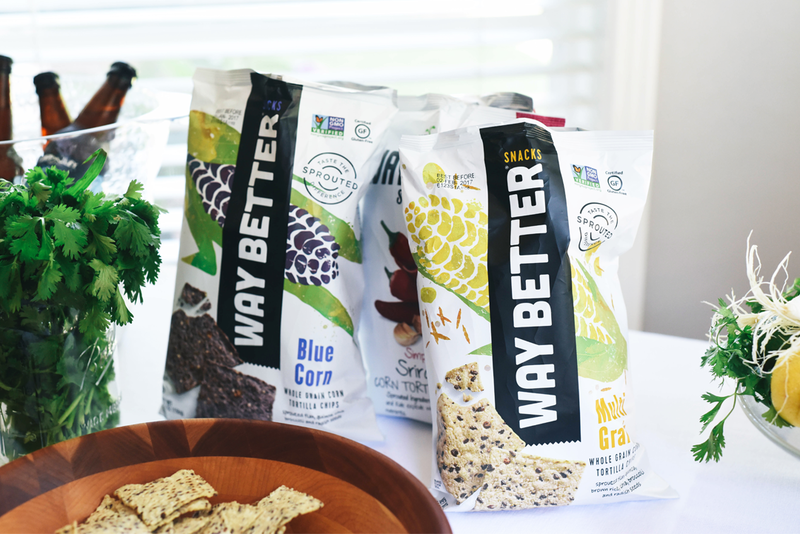 Not only are Way Better Snacks chips made with the highest quality, whole grain, sprouted ingredients, they’re actually good for you. Think sprouted flax, quinoa, and kale seeds. 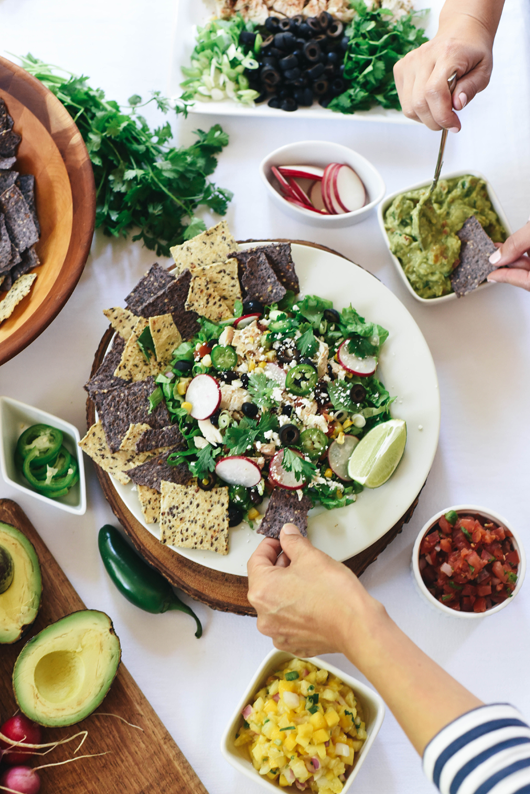 You can easily eat Way Better Snacks chips with regular nachos, salsa, queso, guacamole, or simply alone, but we decided keep the trend going and pair them with healthy nachos. 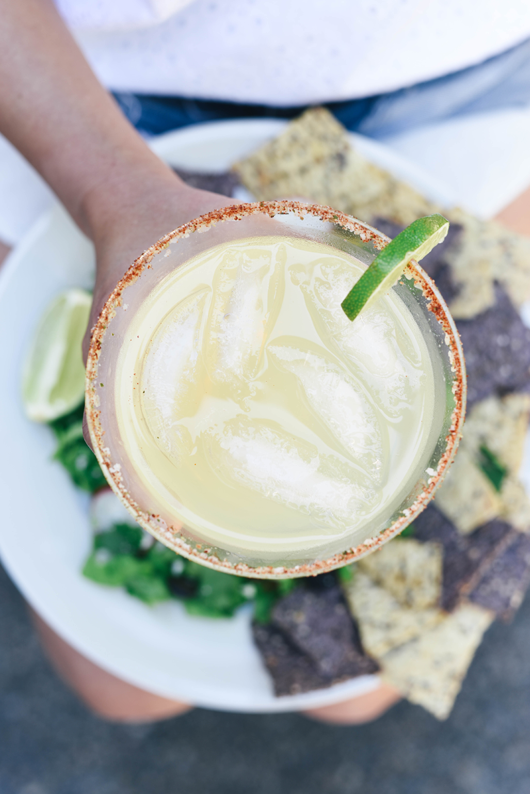 Honestly, this is as guilt-free as Mexican food gets AND it’s just as good or even better! This looks amazing, Crystalin. 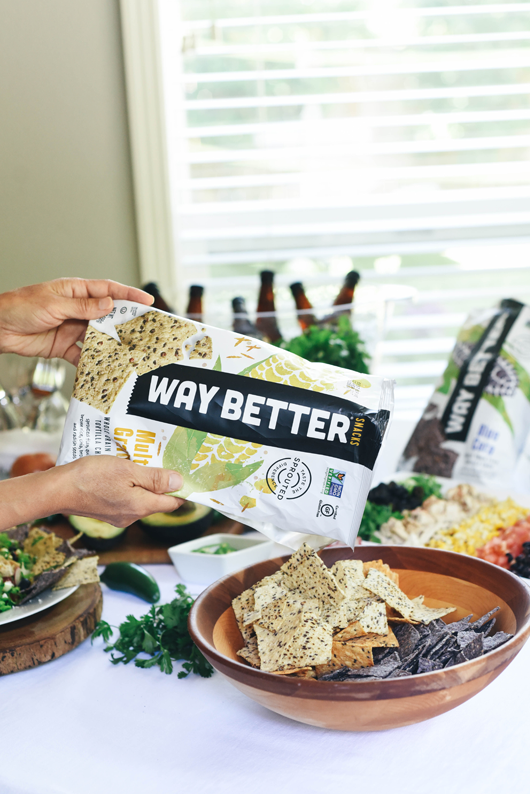 Way Better chips are my absolute faves, and I love that they contain no sugar. 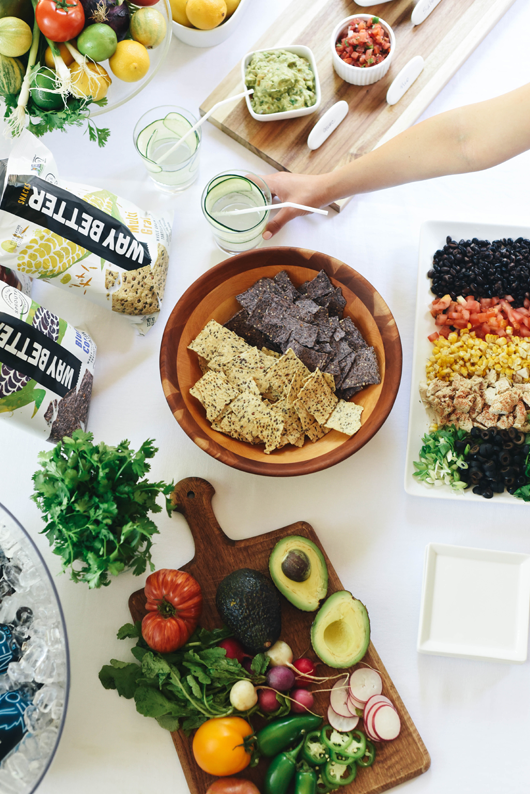 I’ve been doing a healthy nacho bar at home on Friday nights for years now, and this post inspires me to change it up a bit. So good! As a vegan, what would you sub for the cheese? I’ve tried so many vegan cheese substitutes and I hate them all. I’ve finally given in to just eating goat cheese. I found a fabulous goat cheddar that I’ve been indulging in once a week. I’m so glad you love this post! I actually don’t eat any substitute cheese. Since it was nacho bar for our family, we had chicken and cheese for everyone else but me. I actually don’t eat any alternative meats, cheeses, or sauce (sour cream, etc.). I try to stay away from anything to processed. Everything looks so delicious & healthy! I haven’t heard of Way Better chips before, but I will definitely be checking them out. Since I’m currently moving into a new apartment and out of my parents house, I am trying to find various dishes and recipes to add to my collection for when I decide to start hosting. This post is super helpful and has given me quite a few ideas. Thanks for the great post!